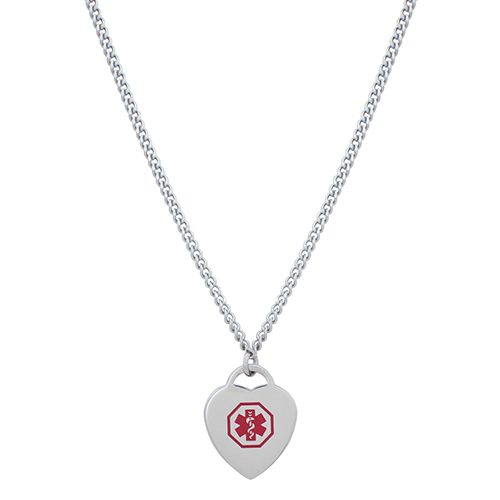 This 20" stainless steel necklace comes with a 3/4" by 3/4" engravable heart charm for a stylish component. All Doc Tock necklaces come with a medical alert wallet card. All of our engravable Doc Tock necklaces are hypo allergenic. Necklaces use a lobster clasp.